For a better world, we need to lead a healthier lifestyle with zero waste. If you are concerned about the growing environmental issues, it’s time to recycle food/organic waste into fresh organic foods via patented CompoPonics technology. It integrates the processes of composting, geoponics, hydroponics, aquaponics and burning together to onsite recycle biodegradable solid waste, wastewater and carbon dioxide into organic foods. It helps households and IC/I entities to produce zero food/organic waste, to emit zero GHG from recycling the waste, and to harvest zero-mile organic foods. Solid waste is degraded into liquid and particles and transported into planting beds automatically by circulating water. A closed-loop water circulation cleans waste water and supplies nutrients into growing plants. A closed-loop gas circulation recycles Oxygen and Carbon Dioxide among burning, cellular respiration and photosynthesis. Did you know that waste management is the largest single expense for cities? The CompoPonics® units can save everyone with money. At CompoPonics, we are looking for the right people and capital to co-found the CompoPonics business based on USPTO patent 9,617,191, CIPO patent 2,959,846, EPO patent 3,255,139, and WIPO PCT patent pending Apparatus for Resonant Vibratory Agitating (filed on March 12, 2018 with Application Number: PCT/CA2018/050295). Looking to Recycle Biodegradable Waste into Organic Food? 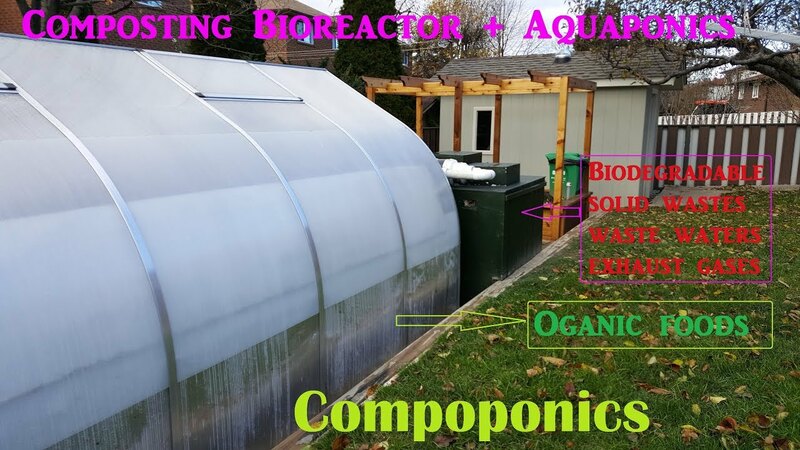 CompoPonics provide onsite recycling of water, gases, nutrients, carbon and energy. The CBS1000 designed for households and IC/I entities to onsite automatically recycle food/organic waste into fresh organic vegetables will be available for sale from May of 2019. Welcome to place your pre-order! © Copyright 2019 CompoPonics. All Rights Reserved.